PROPERTY DESCRIPTION: 28.4 acres of Sedgwick County, Kansas land located between Maize and Colwich. Great location, in the path of Northwest Wichita Metro development. Blacktop on two sides, 53rd Street North and 135th Street West. Currently zoned agriculture. Great opportunity to own land with low holding costs, agriculture income, and future development potential! LEGAL DESCRIPTION: That part of the Northeast Quarter of Section 23, Township 26 South, Range 2 West of the 6th P.M., Sedgwick County, Kansas, described as beginning at the Northeast corner of said Northeast Quarter; thence West 980.75 feet along the North line of said Northeast Quarter on an assumed bearing of N 89° 40′ 50″ W; thence 1328.42 feet on a bearing of S 00° 00′ 00″ W to the South line of the North half of said Northeast Quarter; thence 980.75 feet on a bearing of S 89° 39′ 30″ E to the East line of said Northeast Quarter; thence 1328.81 feet on a bearing of N 00° 00′ 00″ E along said East line of said Northeast Quarter to the point of beginning. 2017 REAL ESTATE TAXES: $174.24. 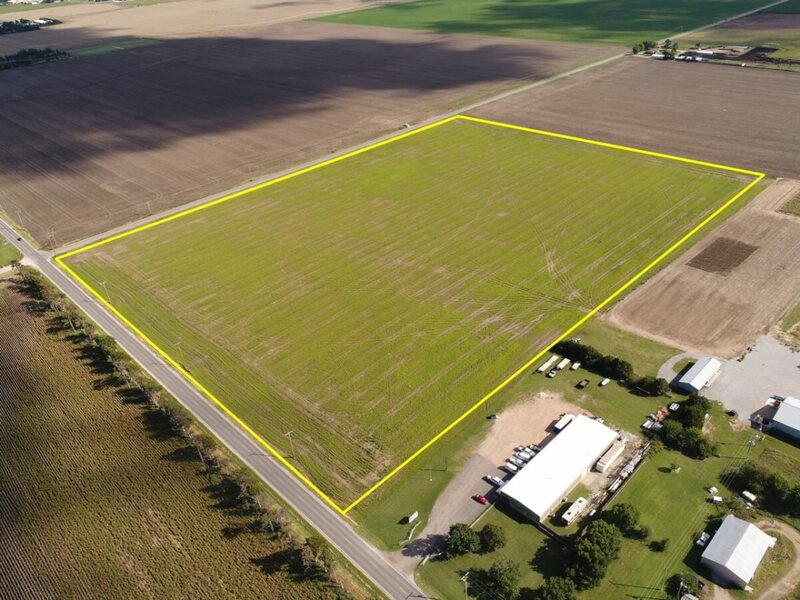 LAND LOCATION: From 96 HWY, 2 miles West on 53rd St North. TERMS: There will be a 10% buyers premium added to the high bid to determine the contract price. Earnest money is $25,000 due at the conclusion of the Auction with the balance due upon Sellers submission of merchantable title and closing. Closing date shall be on or before November 30, 2018. Closing fee and title Insurance fee will be split 50/50 between Seller and Buyer. Selling subject to easements, restrictions, roadways and rights of way. This property is not selling subject to financing or inspections. Interested buyers need to view the property prior to the date of the auction and have financing available and any inspections performed prior to bidding. Pertinent documents and information is available upon request. All announcements made the day of the auction take precedence over any other announcements or printed material.